​​​​​​​​ James Excavating, Inc. is an established privately-owned excavating and trucking company located in Johnstown, Pa. We are committed to providing our customers with excellent service at competitive prices. Customers who hire James Excavating benefit from the strength of our experience and capabilities. Our customers know that our competence and over 58 years of experience means that they can count on us every time we are involved in a project. We have built a solid reputation as an effective, efficient excavating company. 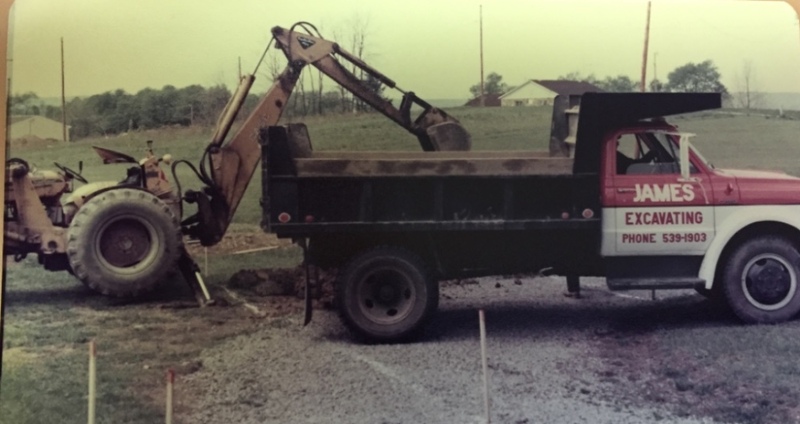 James Excavating began site work operations for all types of development in 1960, including both commercial and residential projects. Utilities provided include sewer lines, water lines, pressure reducing vaults, storm water lines, roof drains, and both above and underground detention/retention systems. We have also added gas line installation and directional drilling to our service list. James Excavating's crews are expertly trained for confined space and trenching activities during utility installations. We take great pride in the safety of our crews and the efficiency of their work. In addition James offers three estimators which will ensure timely and competitive pricing. So give us a call and let us help with your next project​​.